Those of you who’ve already seen Guardians of the Galaxy will immediately recognize the shadowy figure in the potted plant. Yes, it’s baby Groot! And soon, you’ll be able to own one for yourself! Thanks to the guys at Hot Toys, everyone who pre-orders their Rocket & Groot 1/6th scale collectible figures will be getting their very own baby Groot in a pot. Sadly, the potted Groot is also 1/6th scale, and probably doesn’t actually dance. But given the fact that they’re calling it the “Dancing Potted Groot,” we’re hoping it move and groove like those Rock ‘n Flower toys. 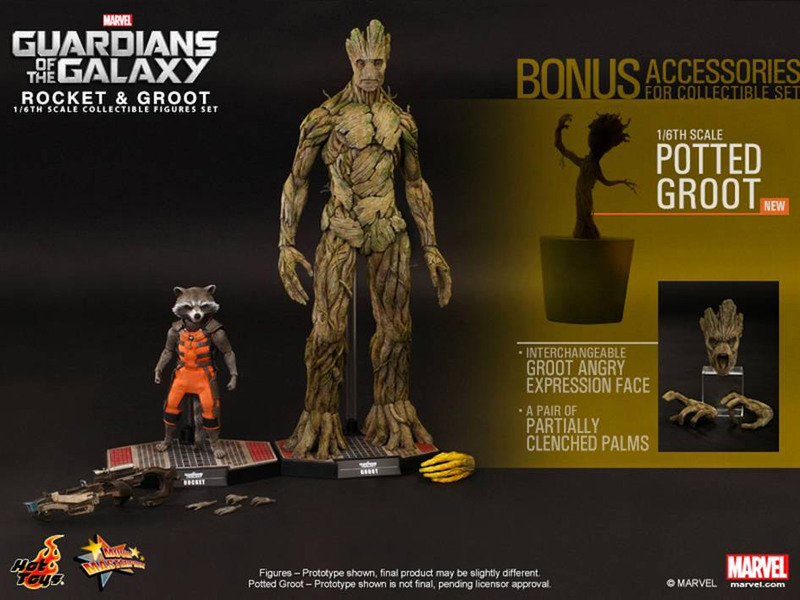 Head on over to Sideshow Toys and pre-order your Rocket & Groot collectibles to secure your potted Groot.